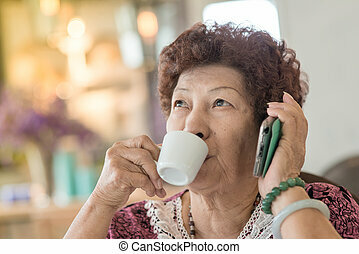 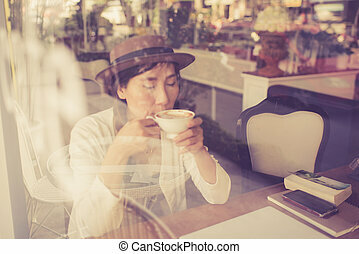 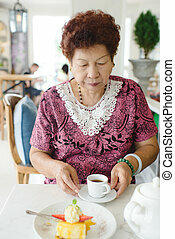 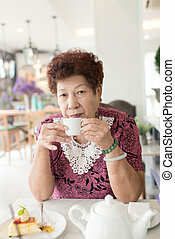 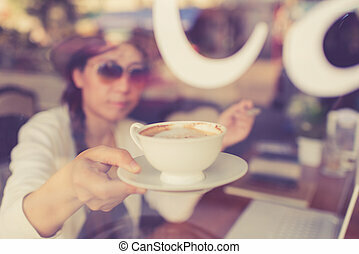 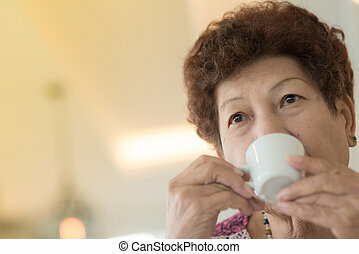 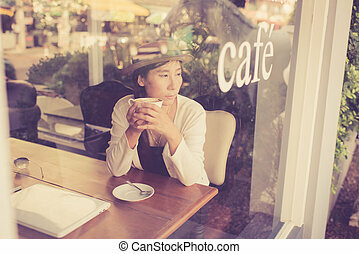 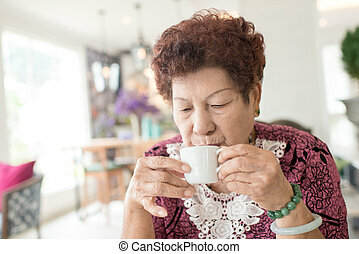 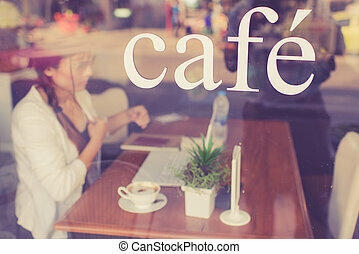 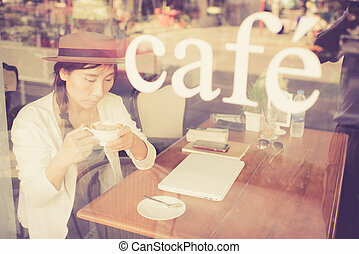 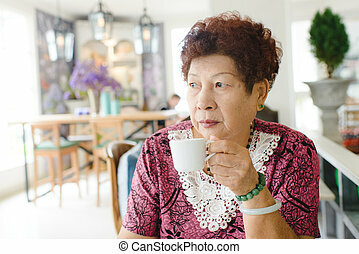 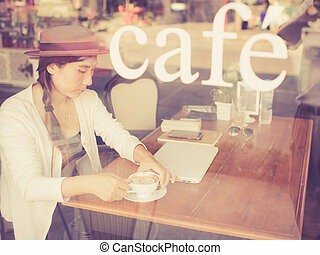 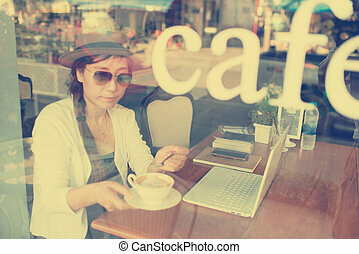 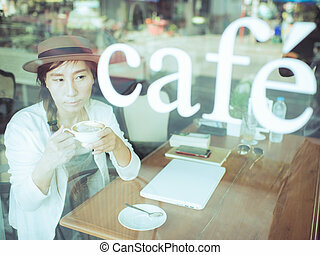 Happy Asian senior woman drinking tea at cafe. 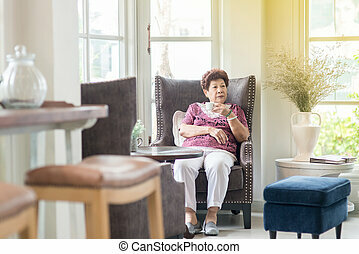 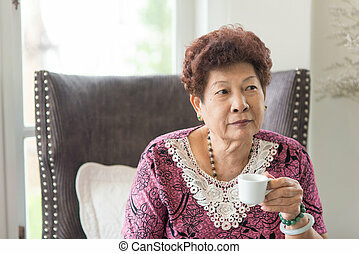 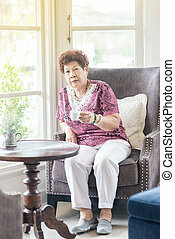 Happy Asian senior woman drinking tea at home. 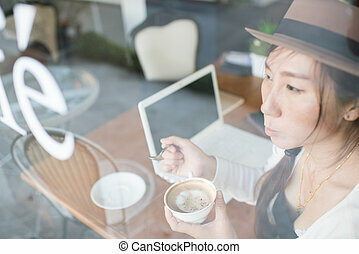 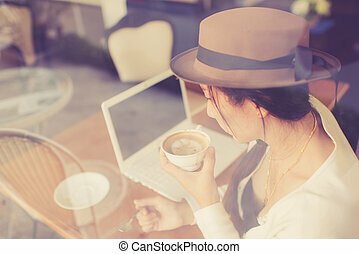 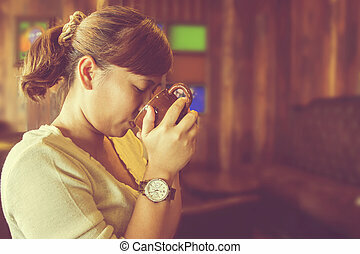 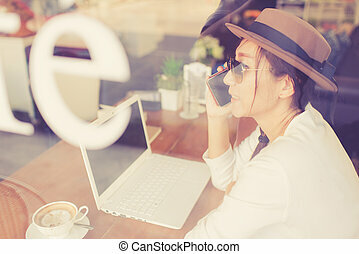 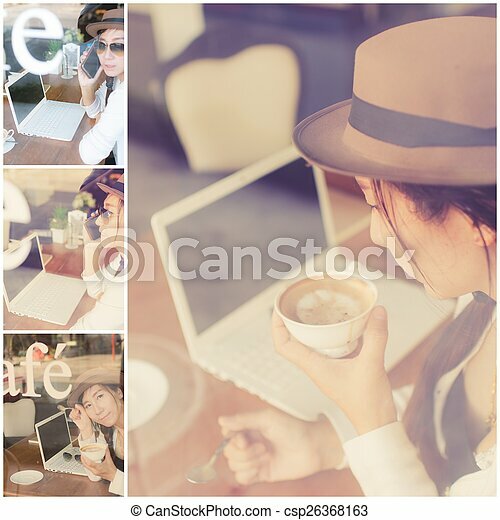 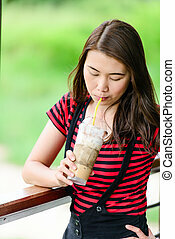 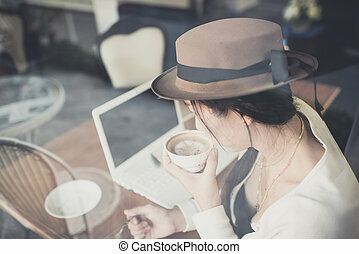 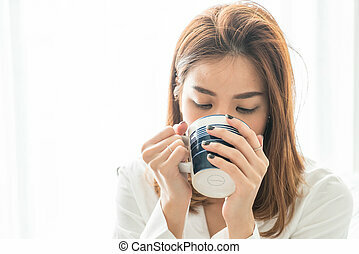 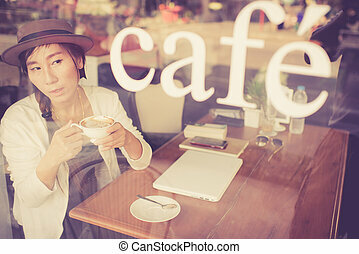 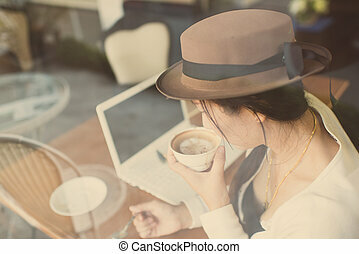 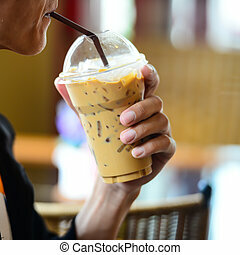 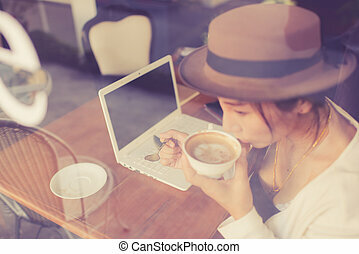 Attractive Asian woman drinking at home, lifestyle concept.